Though I can't boast to have tried umpteen colored eye pencils but with whatever little experience I have,I can safely say liquid eyeliners are my pick instead of pencils,felt tips and gel eyeliners. The reason being the amount of control that the brush of liquid eyeliners provide for the that sheer precision. 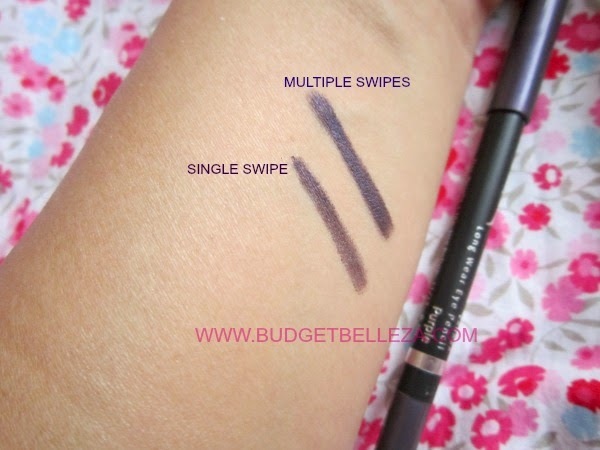 Still..out of all the other brands of eye pencils I have Faces Canada Long Wear Eye Pencils are sure winner!!! 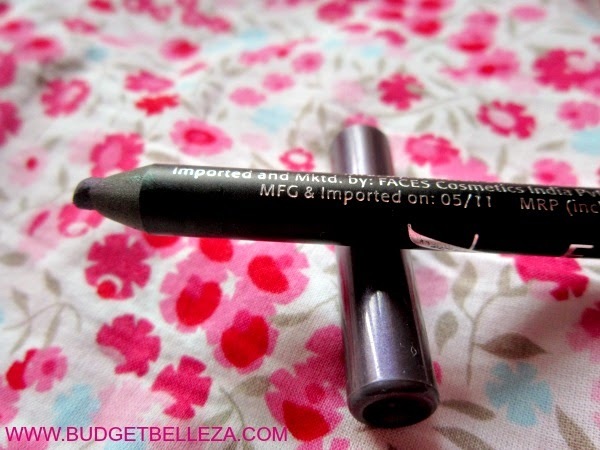 Faces Long Wear Eye Pencil comes in regular pencil form that needs sharpening. The pencil has a colour codded cap and end which makes it easier to locate. The best part is that it has its basic info on the pencil itself like the manufacturing and expiry dates,weight,price and shade name. I have Navy Blue,Forest Green and Purple from the lot. Purple is a pure deep deep purple shade. Not plum not lavender...just plain dark purple sans any shimmer. 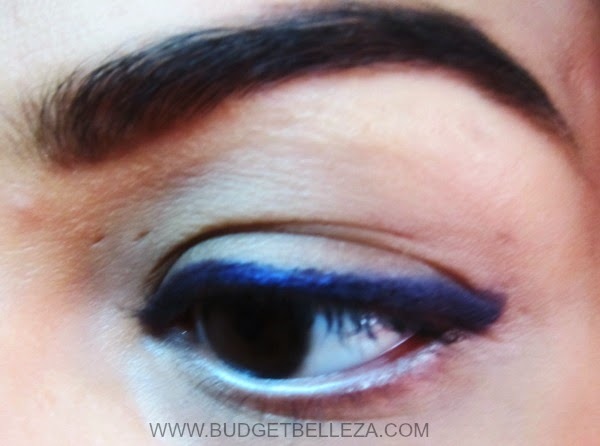 For all those who don't like ultra bright eye looks yet want a pop of colour..this is the one for you and for all those who want to try something other than black yet not eye-turner!!! The texture of Faces Long Wear Eye Pencil is one of the many USPs of this product. It is super-creamy..glides on like a dream...true to the claims!!! 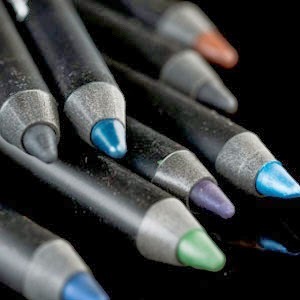 Super-pigmented...one swipe and you are good to go. I need another swipe only for the proper finish and not for depositing colour. Its a Hero in this department too. Absolutely smudge-free despite being so creamy to apply is the biggest "Yayyyy" feature of the product. Moreover,it beats the Indian Summer Heat too and that too effectively! Purple suits Indian skin tones really well. Colour coded cap and end. It is so creamy that it needs to be refrigerated before sharpening in summers. Drawing a thin line isn't easy with this one! 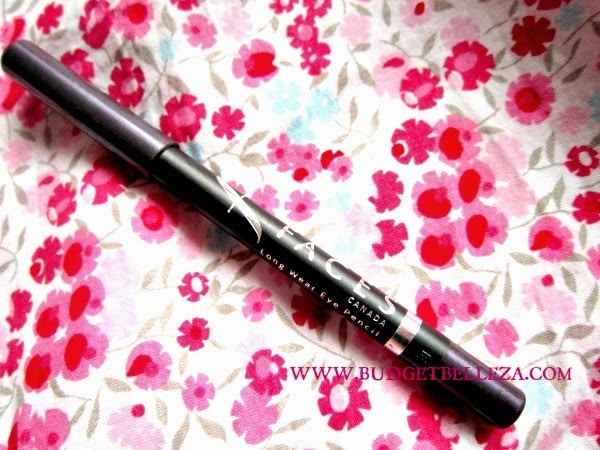 Despite the cons..this is THE BEST eye pencil I have used till date! Thanx Nats.. they are REALLY worth a try..give it a go!!! Faces makes some really good products, I haven't tried much products from Faces but I love your reviews and your best products reviews where you find something extraordinary. 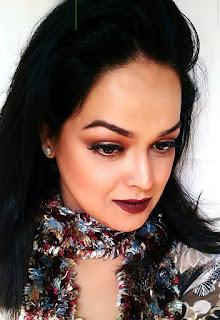 Oh thanx Arzoo,I have used quite a few products from Faces n most haven't disappointed me ! You are totally right! These are definitely the best eyepencils available in india. I love the huge shade variety,creamy texture and the long staying power! Just wish they do not hike the price again! U spoke my heart Lee !!!! Fingers Crossed! I love these pencils so much! One of the best without a doubt.